Relux Slabs offers the infrastructure, trade, skills and industry knowledge to builders of Victoria and a total solution in concrete slab construction. Established in 1999, Relux has built and maintained strong relationships with many of Australia's most respected builders, who rely on our expertise and professionalism to bring unsurpassed quality to their building projects. 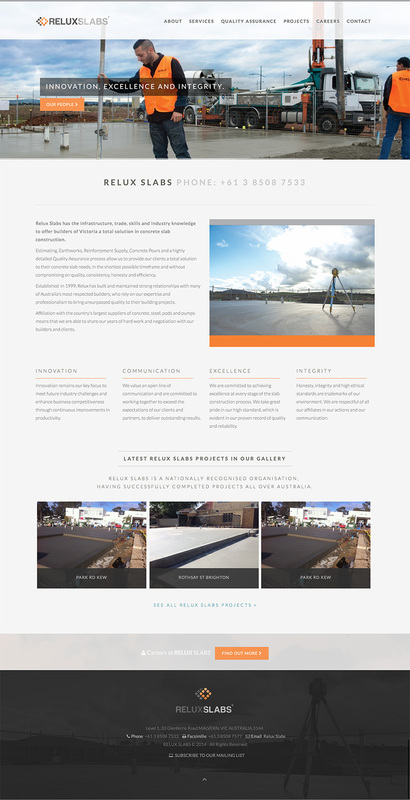 The Story Group build the Relux Slabs site to be fully responsive, working across mobile, tablet and Desktop devices. All site information and data is managed through an incredibly intuitive content management system.